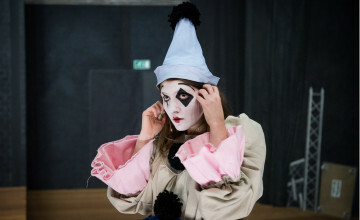 The Edinburgh International Children's Festival – celebrating its 30th birthday – returns to the Traverse Theatre with an exciting programme of theatre and dance for children and young people. This year's Festival boasts a new homegrown show from The Letter J. 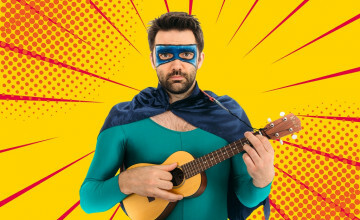 Their brand new show,Super Human Heroes, commissioned by Imaginate in association with Paisley Arts Centre (8-13 years) is an uplifting and affirming show incorporating comedy and musical dance exploring the ways we try and fail to be super human heroes. 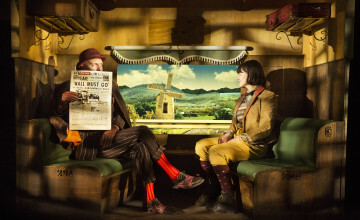 Australia's Slingsby Theatre Company present Emil and the Detectives (8-13 years), a tale of courage and friendship adapted for the stage by Nicki Bloom from Erich Kastner's novella. This playful and imaginative piece is sure to delight, intrigue and astonish! Rounding up the offerings staged at the Traverse is The Invisible Man from Netherlands based company, Theatre Artemis (4-11 years). An anarchic and unpredictable piece that explores the border between fiction and non-fiction The Invisible Man looks at what happens when two artists, a stage technician and a musician are waiting to start their show. Discover the full Edinburgh International Children’s Festival programme of shows for children and young people across Edinburgh.